The Nissan Sentra ranked last in owner satisfaction among compact cars in Consumer Reports most recent owner satisfaction survey. Looks like something's wrong at Nissan because, according to a recent Consumer Reports survey, a lot of Nissan owners don't like their vehicles very much. For that matter, neither do the people who work at Consumer Reports. In the influential magazine's latest customer satisfaction survey, Nissan finished third from last in the overall brand rankings, just ahead of Mitsubishi and Daimler's (DDAIF) Smart, which sells just one super-tiny car. Added to that, Infiniti, Nissan's luxury brand, tied with Buick as the lowest-ranked luxury brand. Of 22 Nissan and Infiniti models included in the survey, 14 of them ranked last or second-to-last-in their respective categories. In two categories -- luxury SUVs and pickups -- Nissan (NSANF) and Infiniti products ranked both last and second-to last. This wasn't always the case. Just two years ago, only three Nissan products fared so badly in this survey. The problems stem from Nissan's most recent round of redesigns, Consumer Reports' car testers say. Starting in 2012, many of the latest generation of Nissan products haven't performed particularly well in the magazine's tests. Now owners are basically seconding what Consumer Reports' testers thought. "They only wish they'd found out ahead of time," said Jeff Bartlett, an editor with Consumer Reports. As CNNMoney's car critic, I'd noticed the same troubling trend. Some recent Nissan cars I've driven have seemed sadly cheaper, less refined and less enjoyable than the cars they replaced. Nissan is addressing the criticisms, Nissan spokesman Dan Passe said. For instance, among other subtle tweaks, they're changing the computer programming that runs the transmissions in order to give the cars are more natural, responsive feel. "Customer satisfaction is of the utmost importance to Nissan, which is why we encourage consumers to utilize the many third party resources available when researching automotive brands," Passe said in an email. "While we will study Consumer Reports' annual owner-satisfaction survey to look for areas to refine and improve our products, we also take great pride in the many other positive 3rd party assessments of our product lineup." Nissan performed much better in market research firm J.D. Power and Associates' owner satisfaction survey. In all, seven Nissan models ranked among the top three in their respective vehicle categories in J.D. Power's survey. That's better than Honda or Toyota. There are big differences between the J.D. Power and Consumer Reports' surveys, though. One is that J.D. Power surveys owners after just 90 days of ownership. People responding to Consumer Reports' surveys have lived with their cars much longer. "Our respondents owned their vehicle from one to three years," Consumer Reports spokesman Matt Fields said in an email. "The honeymoon period is over." Consumer Reports is generally considered the most influential publication among car shoppers. 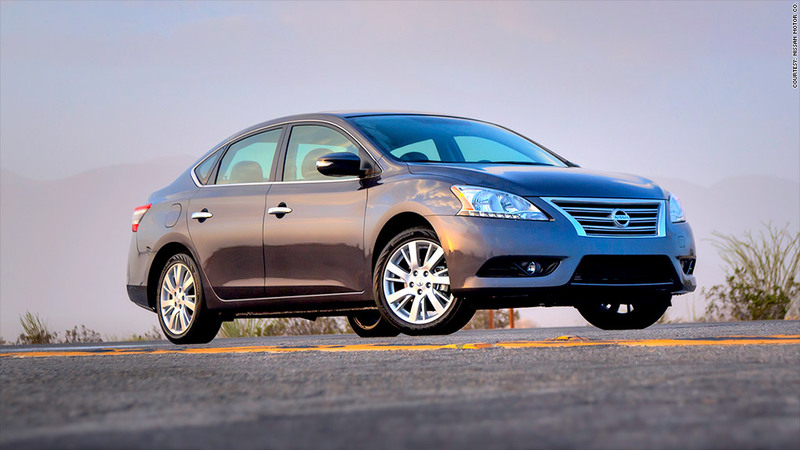 Owners of 350,000 cars were surveyed, including 17,500 Nissan products. Disappointed owners could hurt that sales momentum down the road, though. Consumer Reports' survey asked owners if they'd buy the same vehicle again and a lot of Nissan customers have said, basically, "I'm not so sure." At least Consumer Reports' car critics say they've been impressed with two of Nissan's most recent new products, the Rogue and Murano crossover SUVs. For the time being, though, Nissan's product line-up is, at best, inconsistent, said Gabriel Shenhar, senior auto test engineer at Consumer Reports. "For any brand, it's important to have a clear definition," he said. "For Nissan the only thing they're known for now is they're unpredictable."